Who else is excited about the Toms for Target collaboration? I can't wait to get my hands on the great gifts (yes, some might be gifts for me) that I can get a hold of as soon as this collection is released. And really, what is better than to give a gift that not only goes to the person for whom you purchase it, but also gives something essential to someone in need. I guess I may have to set my alarm for very early that morning to jump online and try to get what I want. I have a feeling that it will be going quickly. It all begins November 16th. Check out the whole collection here. Wish me good luck! 2. 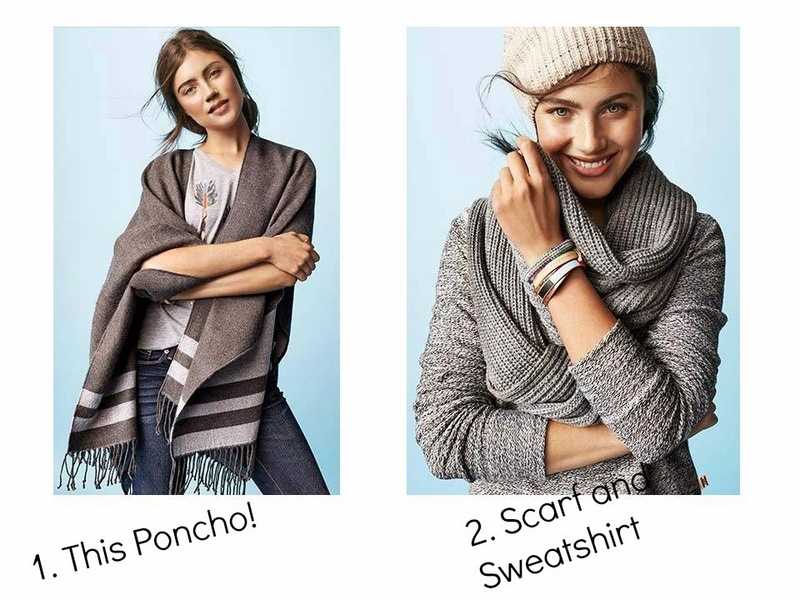 This scarf ($20.00) and sweatshirt ($22.00) each give 1 blanket to someone in need, the bracelet sets ($15.00 each) give 1 week of meals! 3. My husband just might find this jacket ($40.00) under the tree. And bonus, it gives 1 week of meals to someone in need. 4. And for my girls, of course a pair of iconic Tom's slip-ons ($38.00), which are of course, 1 pair of shoes donated for each pair purchased. 5. 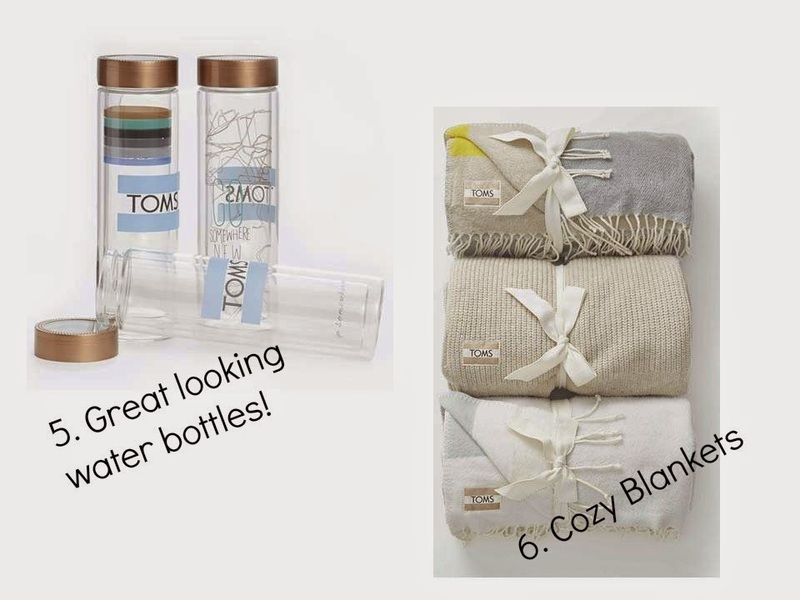 These water bottles ($15.00, donation match 1 week of meals) and #6. blankets ($30.00, donation match 1 blanket) are absolute musts for around my house. Check out the collection and let me know what you are hoping for! Find it all at Target.com starting on November 16th. I didn't know that they made all of these products! Love those blankets! I know! The blankets look so cozy!